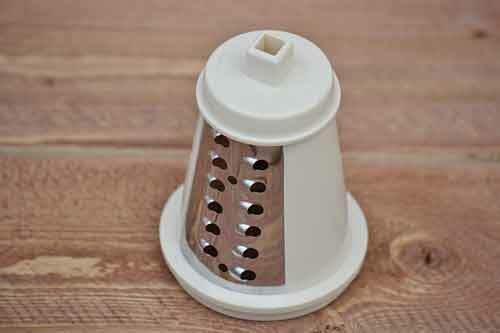 Salad shooter replacement parts for use with the Original and Mixer Too Presto Salad Shooter electric slicer/shredder. 3 1/4" Outer Diameter. Replaces Presto #31270. Salad shooter parts for use with the Original and Mixer Too Presto Salad Shooter electric slicer/shredder. Push food with safety and ease. 4 1/2" Overall Length. 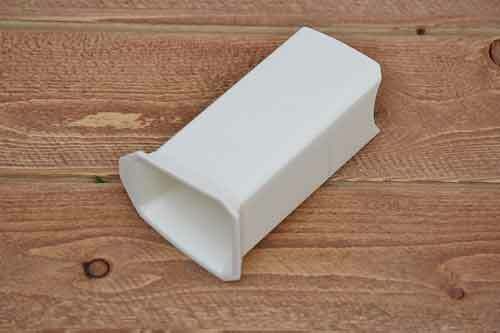 Salad shooter parts for use with the 0291004 model only. Push food with safety and ease. 4 1/2" Overall Length. 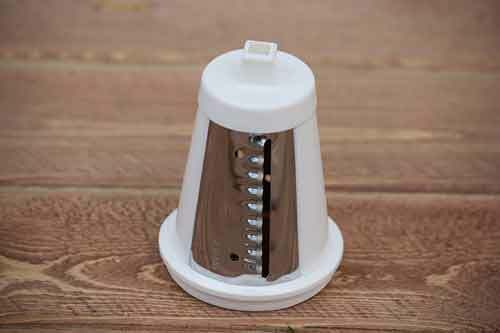 Salad shooter parts for use with the Original and Mixer Too Presto Salad Shooter electric slicer/shredder. 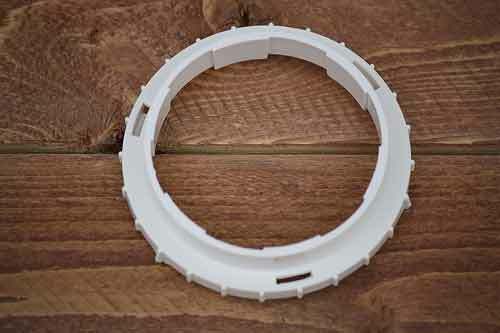 2 7/8" Outer Diameter on round part of chute. 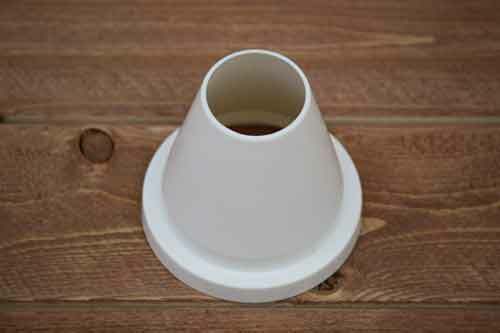 Salad shooter parts for use with model 0291004 only. 2 7/8" Outer Diameter on round part of chute. Salad shooter parts for use with the Original and Mixer Too Presto Salad Shooter electric slicer/shredder. 2 1/2"" Outer Diameter (Large End). Cut your salads quick with this quality blade. 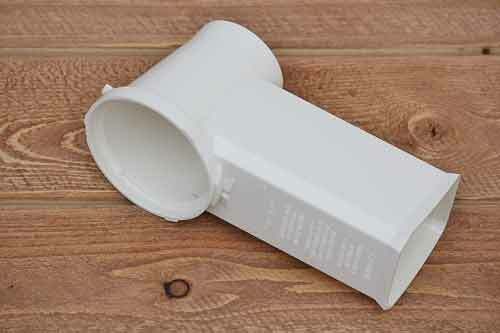 Salad shooter parts for use with Original and Mixer Too Salad Shooter electric slicer/shredder. 2 1/2" Outer Diameter (Large End). Cuts the finest shreds! Add an elegant look to your salad creations with delicate shreds of your favorite vegetables. 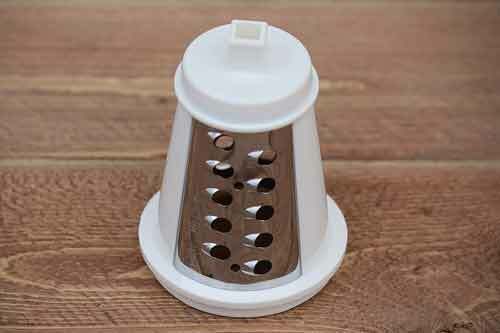 Salad shooter parts for use with Original and Mixer Too Salad Shooter electric slicer/shredder. 2 1/2" Outer Diameter (Large End). Make creative crinkly cuts! Shoot out spectacular crinkly cuts with this amazing ripple slice cone! Dress up a salad or make homemade ripple chips. 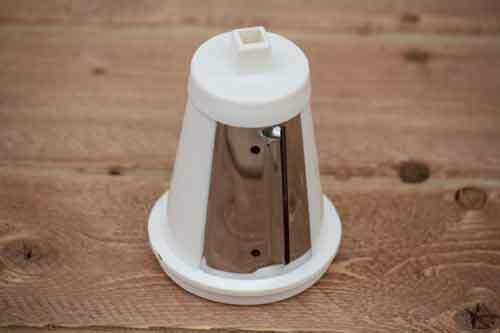 Salad shooter parts for use with Original and Mixer Too Salad Shooter electric slicer/shredder. 2 1/2" Outer Diameter (Large End). Cut hearty super shreds! For a hearty salad with an added crunch, switch to the Super Shred Cone and shoot larger, thicker shreds of vegetables. 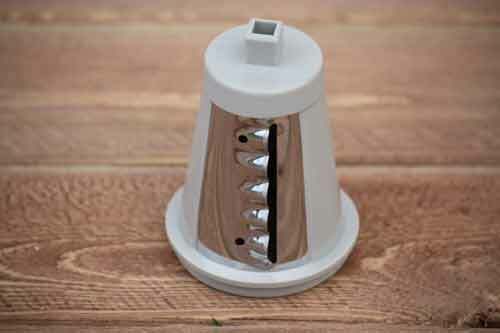 Salad shooter parts for use with Original and Mixer Too Salad Shooter electric slicer/shredder. 3 1/2" Outer Diameter (Large End). Perfect Aim! Here's how to shoot ingredients right into your salad, casserole, or dessert with precision aim. 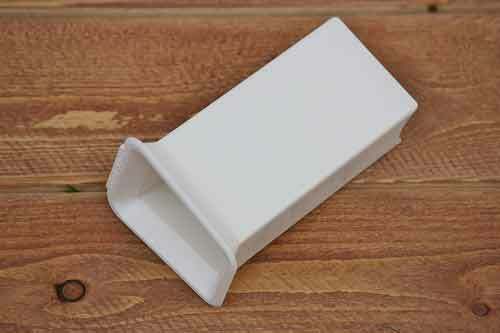 Just slip on the special Funnel Guide attachment and they'll go exactly where you want them with no fuss or muss. 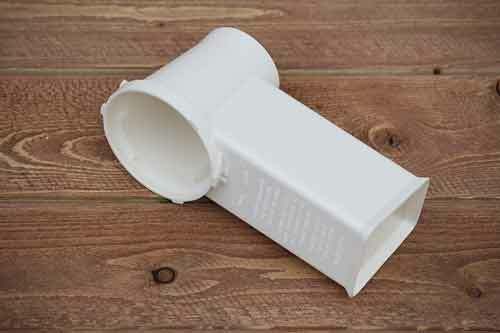 Salad shooter parts for use with the Original and Mixer Too Salad Shooter electric slicer/shredder. 2 1/2" Outer Diameter (Large End). Use this quality blade to slice and shred salad like a pro. You will be making huge salads in no time at all!